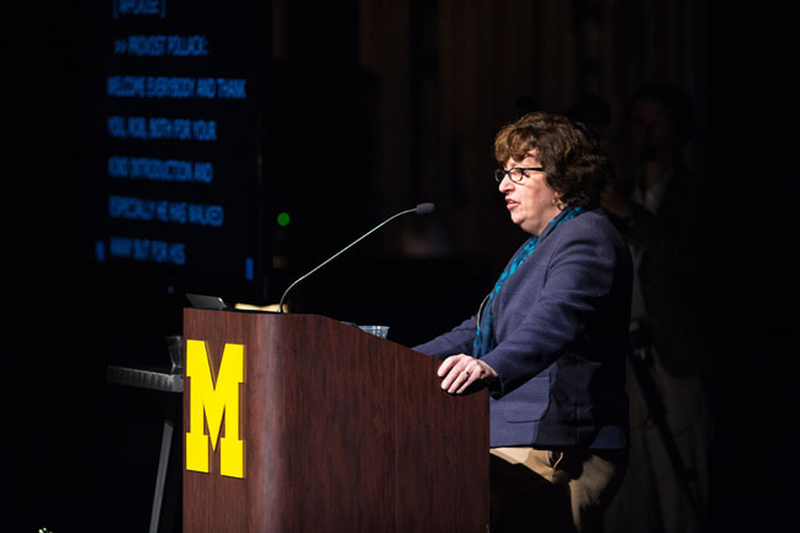 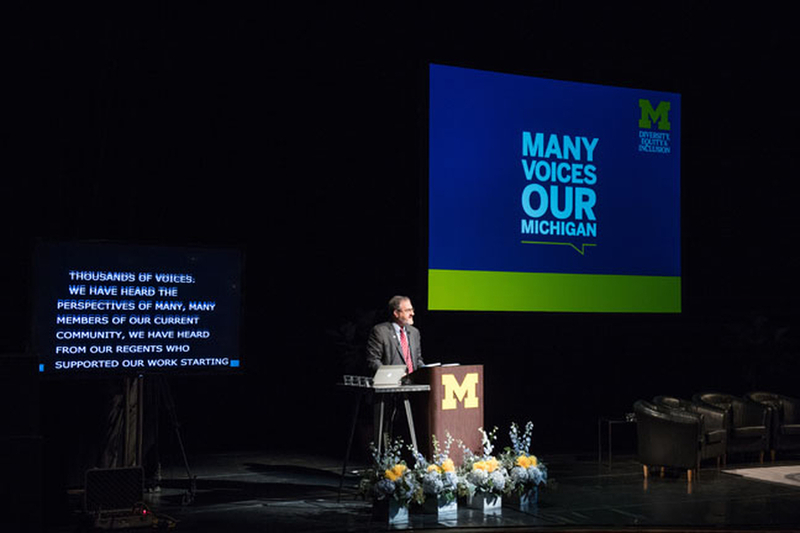 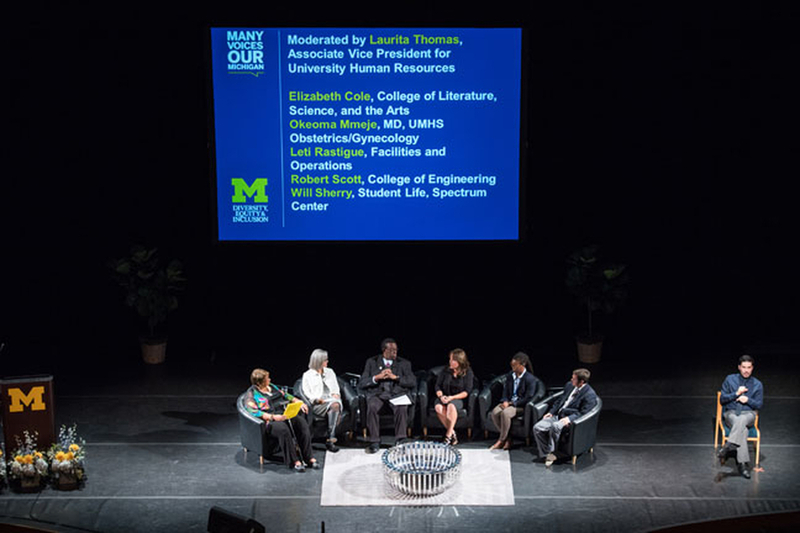 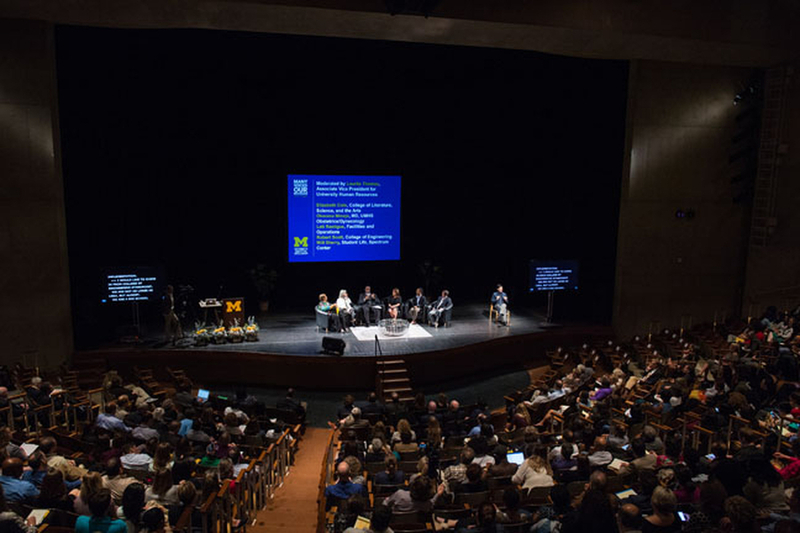 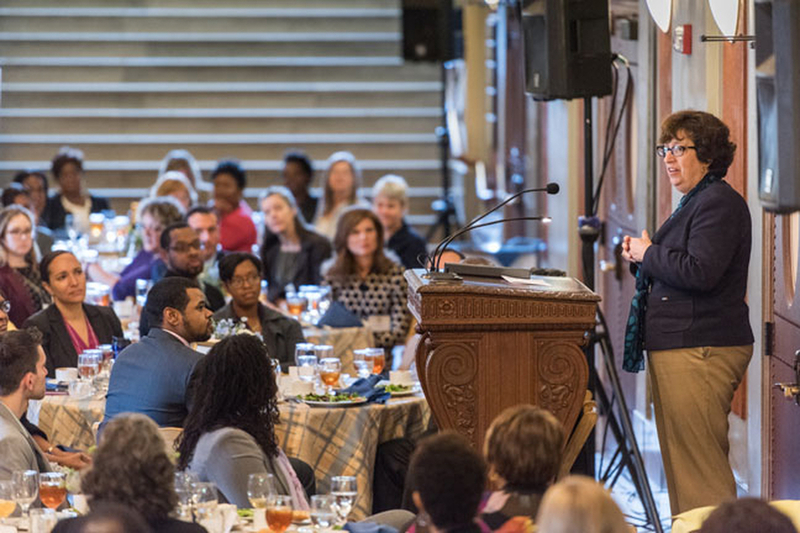 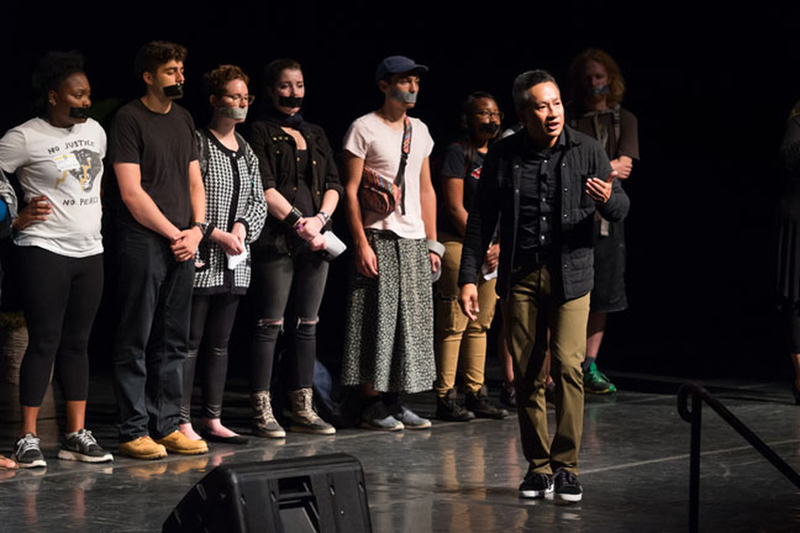 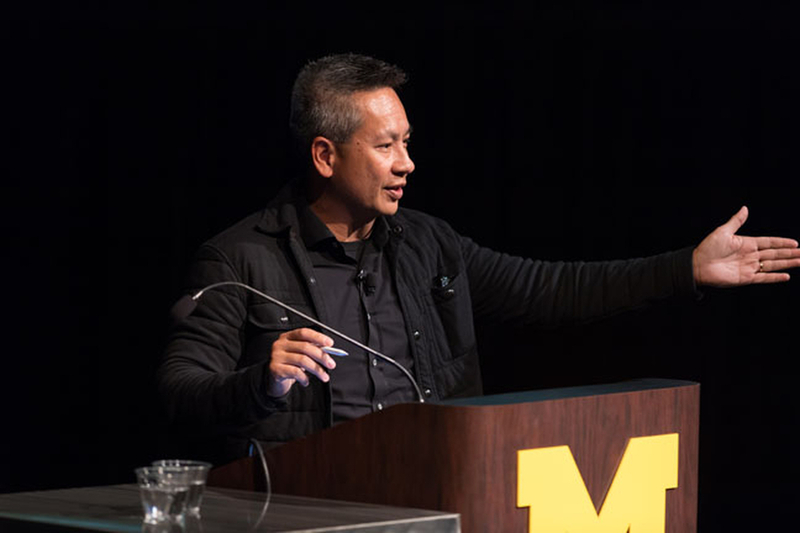 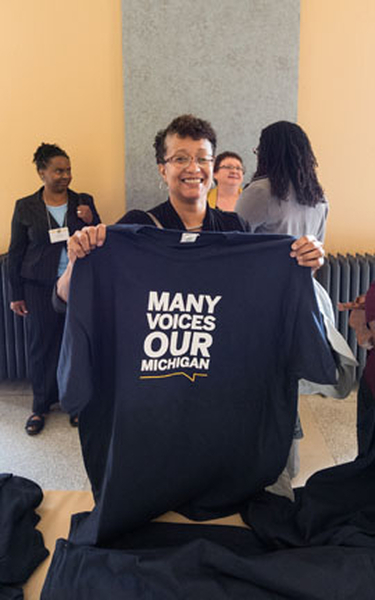 U-M’s Diversity, Equity & Inclusion Strategic Plan “Many Voices, Our Michigan” was introduced to the university community on Oct. 6, 2016, through a day-long series of events and discussions. 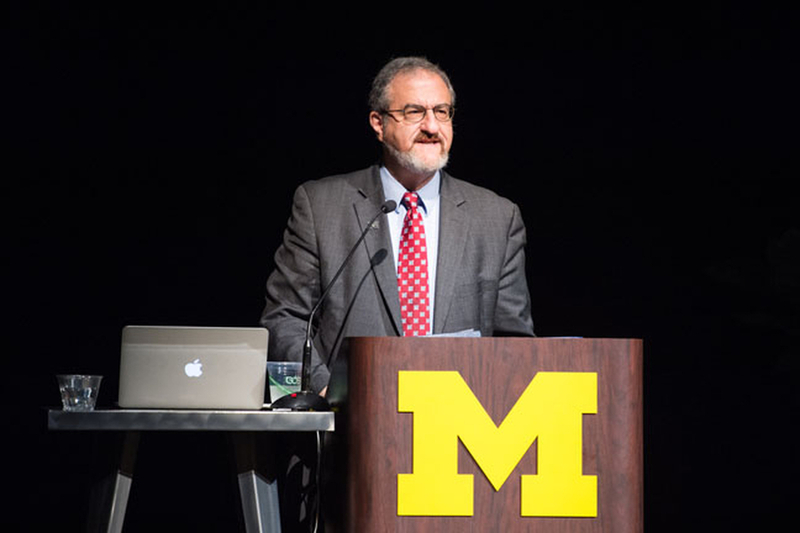 The plan launched with the introduction of the university’s first chief diversity officer, Robert Sellers, as he presented an outline of the new plan, while Regent Mike Behm, President Mark Schlissel and then-Provost Martha Pollack spoke enthusiastically about the renewed vision. 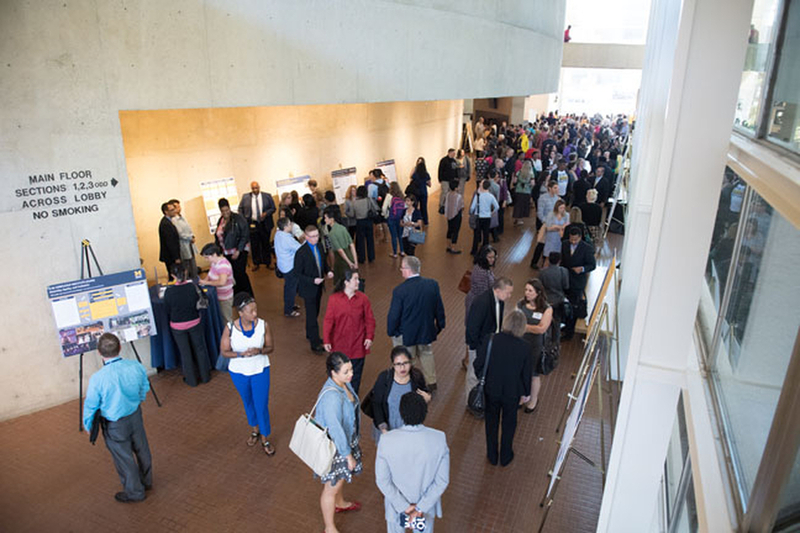 The day began with an official unveiling of the campuswide diversity, equity and inclusion plan at the Power Center. 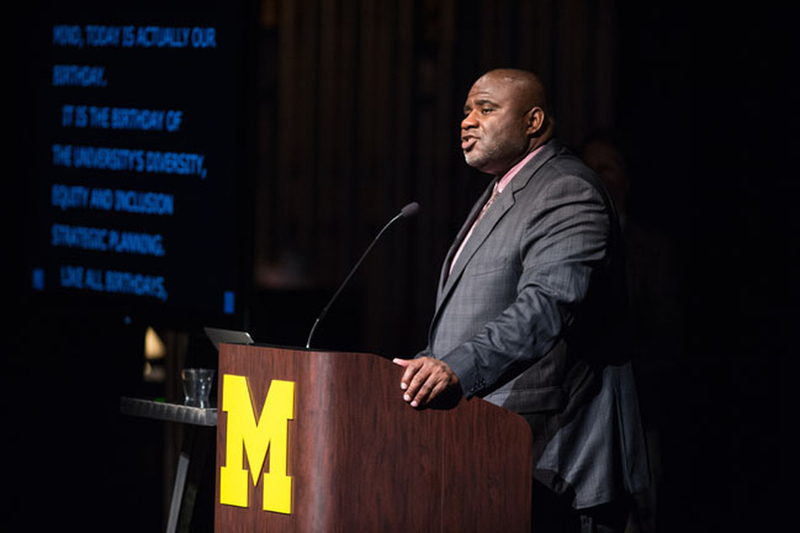 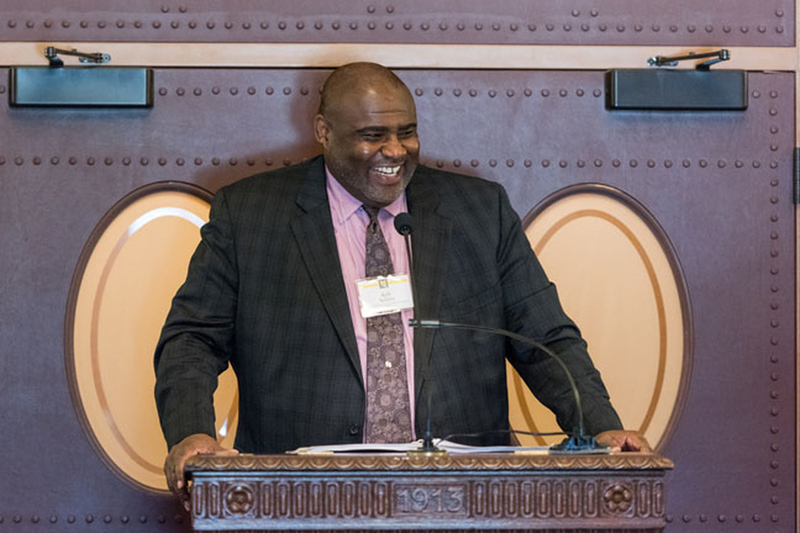 Chief Diversity Officer Rob Sellers presented an outline of the new plan, while Regent Mike Behm, President Mark Schlissel and Provost Martha Pollack spoke enthusiastically about its goals. 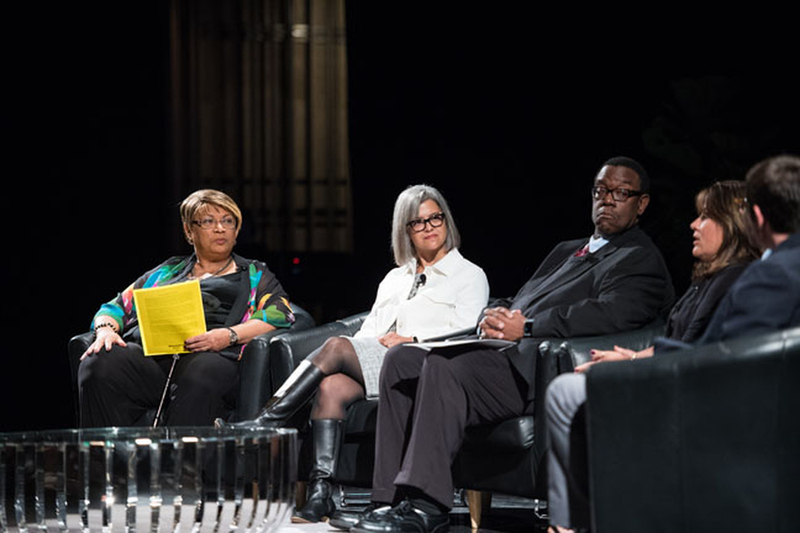 Various unit leaders came together for a panel discussion detailing the challenges and successes they encountered during the strategic planning process. 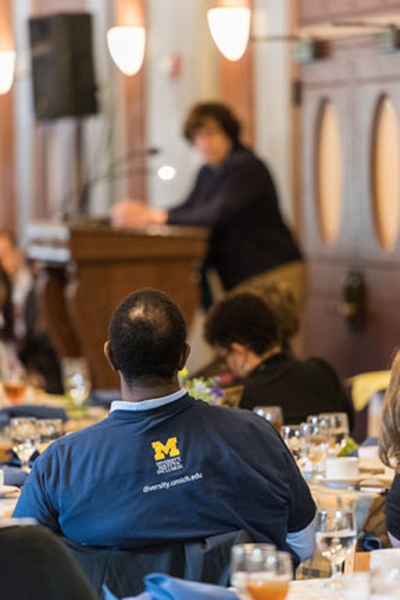 The event was hosted by Associate Vice President for Human Resources Laurita Thomas. 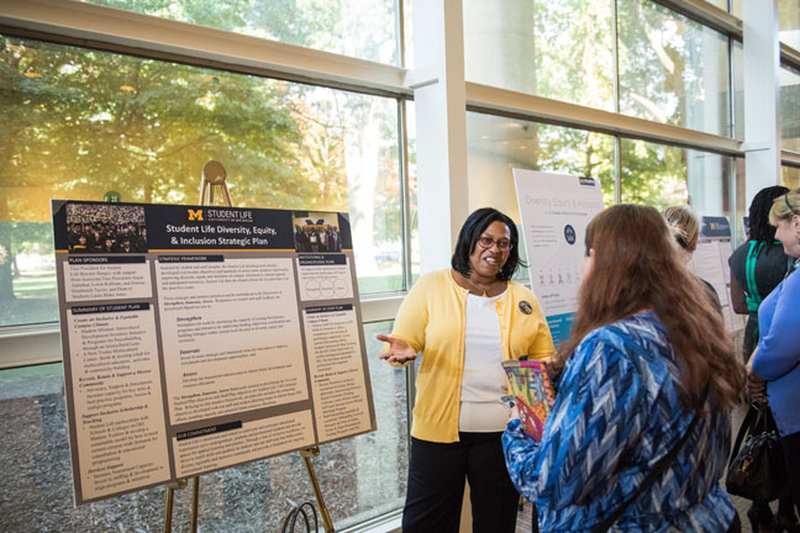 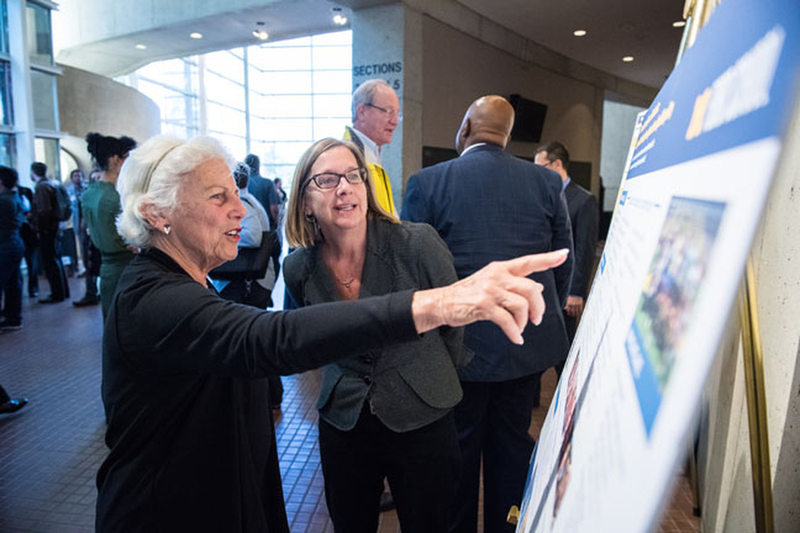 Students, faculty and staff explored poster displays in the Power Center lobby highlighting U-M's 49 diversity, equity and inclusion unit plans. 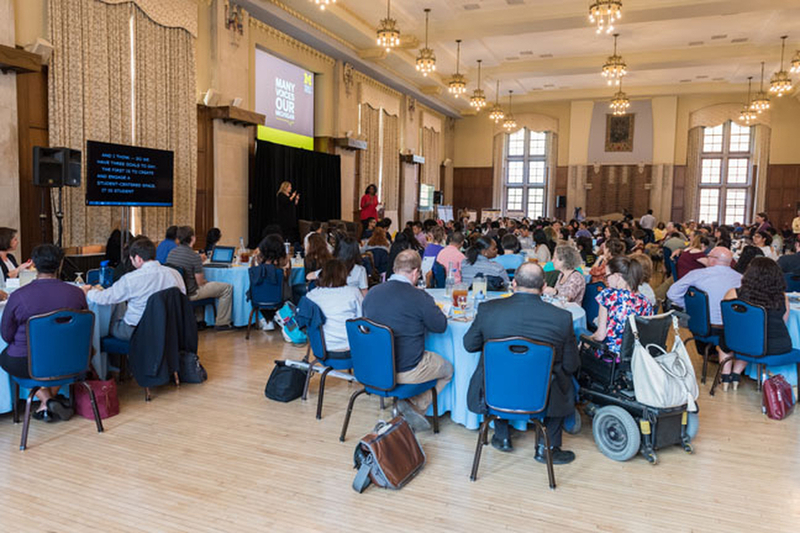 DEI Planning and Implementation Leads Lunch at Hill Auditorium Lobby. 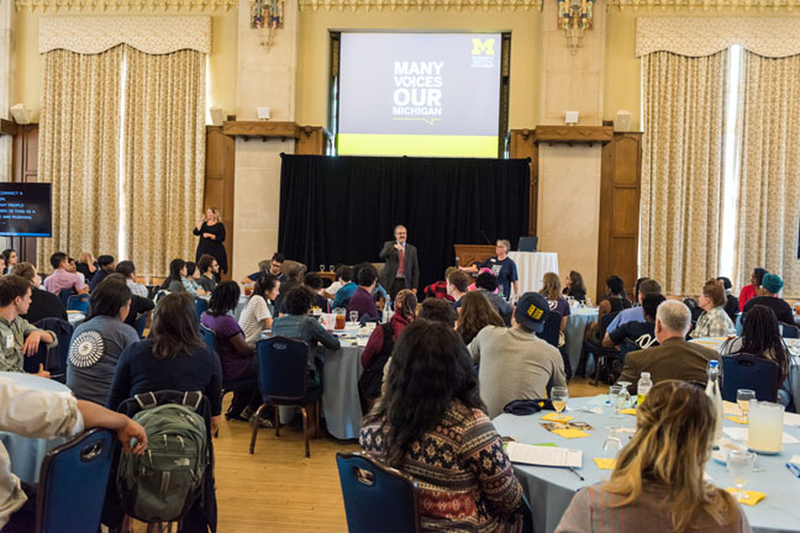 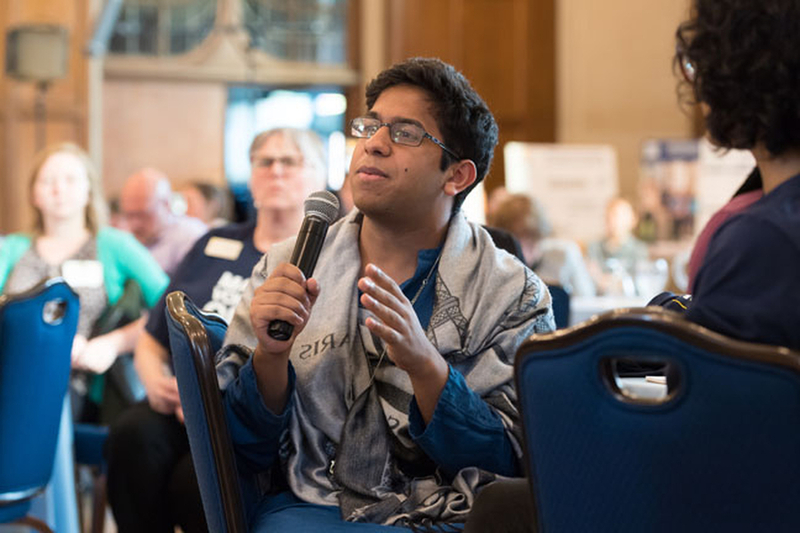 U-M students participated in an interactive program with U-M leaders detailing the university and Office of Student Life diversity, equity and inclusion plans at the Michigan Union Ballroom. 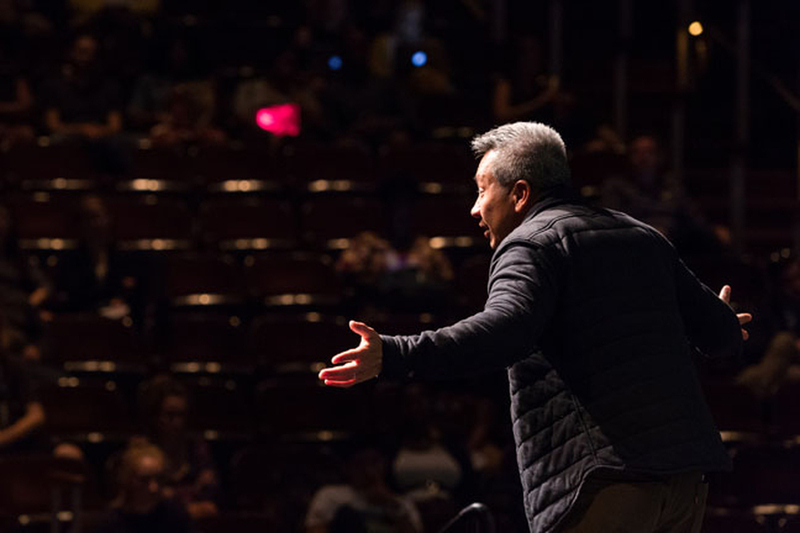 Thought leader and innovator Steve Robbins shared a message of open-mindedness in his keynote talk at the Power Center. 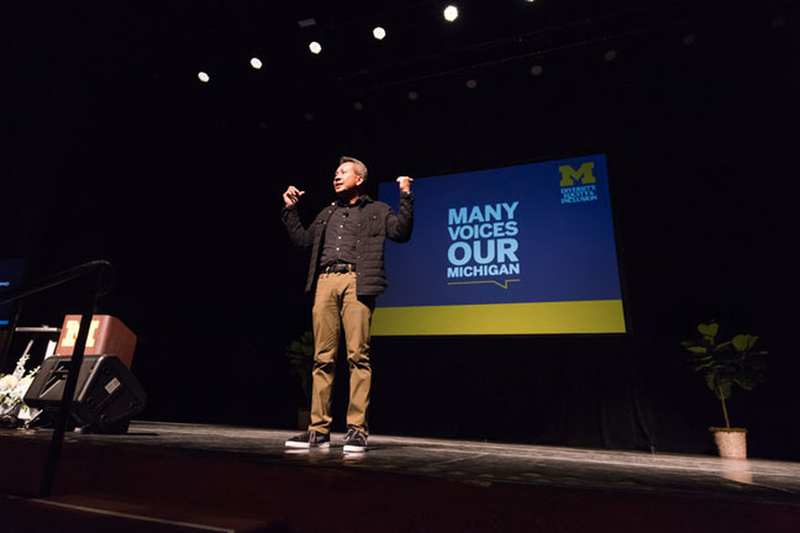 To this point, he even invited a group of U-M student protesters in the audience up on stage and asked them to share their concerns. 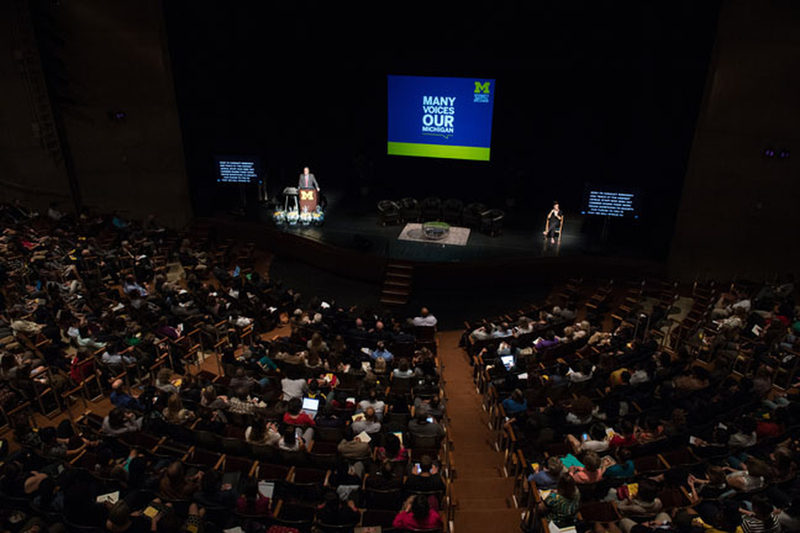 As an ongoing and evolving process, please share your ideas and input about the Diversity, Equity & Inclusion strategic plan at diversityplan@umich.edu.